I just happened to notice these new products (I think they’re new, anyway) when I was at the grocery store this afternoon. 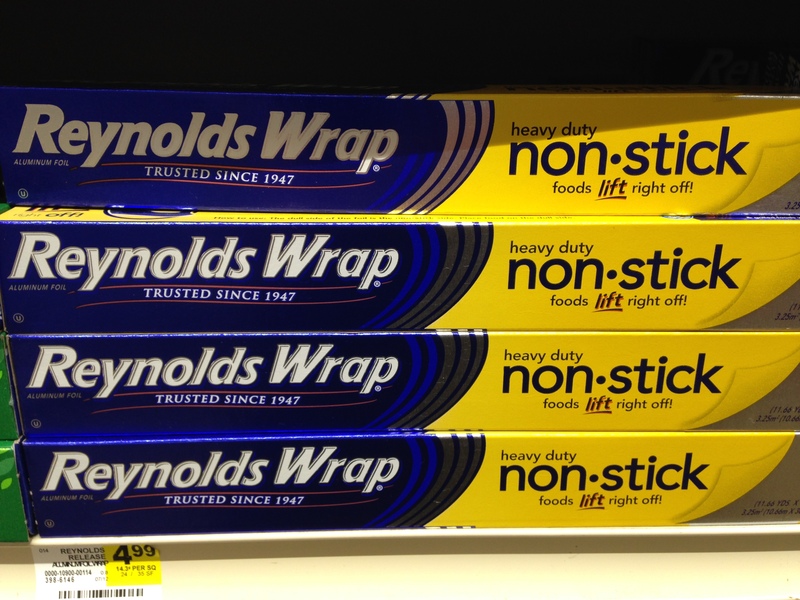 I have to give Reynolds credit; they’ve solved some irritating problems that have annoyed me for years. Have you even baked something on foil to keep your pan clean . . . and then had the food stick to the foil when you tried to lift it off? And then the foil ripped, leaving you with a mess on the pan anyway? And foil stuck to your food? Well, apparently that never needs to happen again. 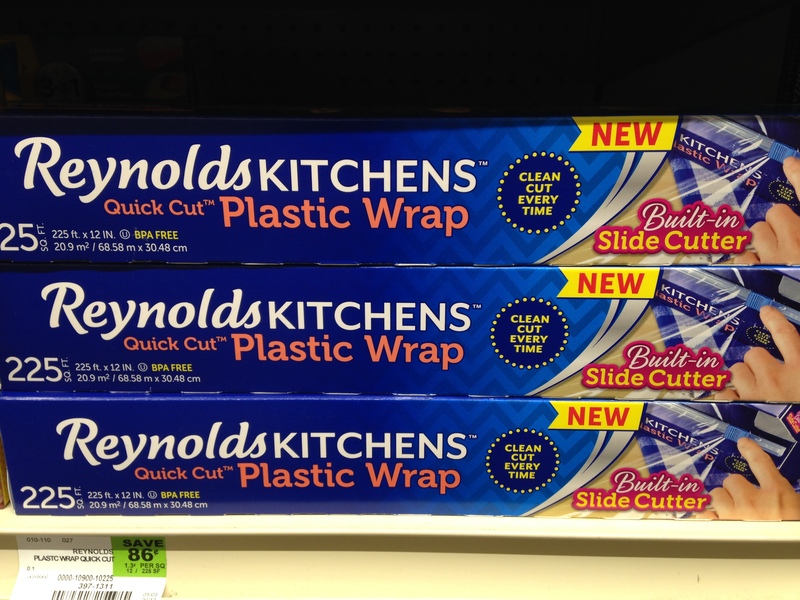 And don’t you hate it when you’re trying to rip off a sheet of plastic wrap and the cutting edge doesn’t really work, so the plastic kind of rips raggedly and then folds in on itself? And then you have to peel it all apart and lay the clingy mess open so you have a usable sheet of plastic to wrap around your food or to cover the bowl? Never needs to happen again. Finally, and this doesn’t really solve a big problem, but it’s still a pretty handy solution that can save time and at least a little bit of hassle. 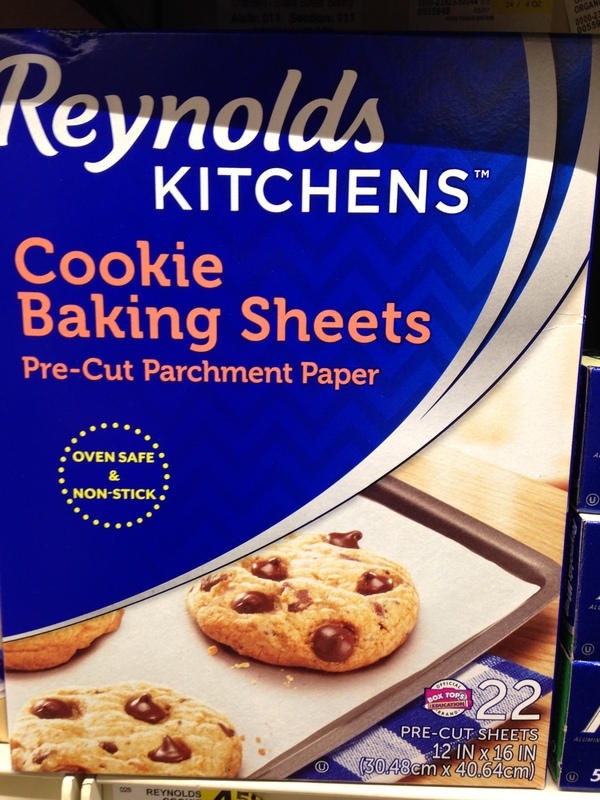 This entry was posted in Creativity, Food, Life and tagged baking, no-stick foil, parchment paper, Reynolds plastic wrap. Bookmark the permalink. I wonder if they put some sort of chemical on the foil, and if so, is it safe?